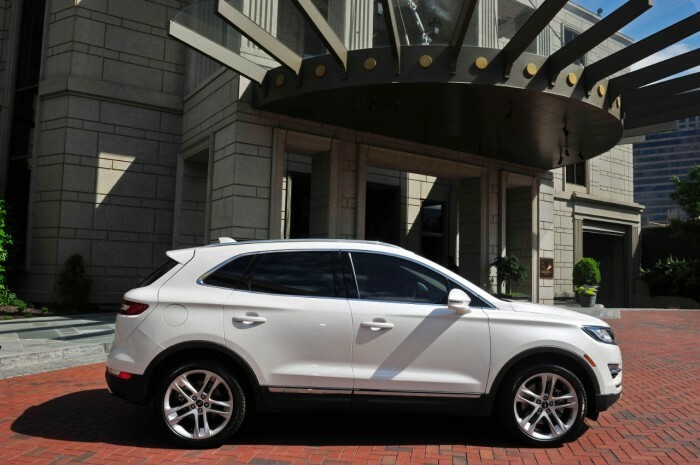 A special event at Mandarin Oriental Atlanta Hotel featured the all-new 2015 Lincoln MKC as part of the automaker’s second stop in the “Engage Your Senses” tour. The event brought representatives from Lincoln and Mandarin Oriental Atlanta together as they shared insights on the similarities between their services, like the importance of engaging a client’s senses to deliver the best-possible personal service. Staff members at the luxury hotel are trained to anticipate their guests’ desires upon arrival. Lincoln’s dealership employees follow in the same steps by attempting to tailor the shopping experience to each customer. That sense of personal luxury is elevated even further in the 2015 Lincoln MKC, which goes to great lengths to deliver the ultimate premium experience. For example, the MKC offers Bridge of Weir® Deepsoft leather, a naturally-milled leather created specifically for the vehicle that, combined with a light finish, feels soft and buttery to the touch.